I was on a mission. 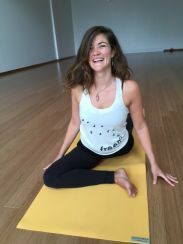 Having taught yoga for three years in my home base of downtown Toronto, I was eager to join forces with students and friends to host a yoga retreat abroad. Yoga and “spa”-like vacations are becoming one of the most popular forms of vacationing around. And why not? Take me to a beautiful oceanside paradisiacal beach, wake me up at sunrise to strengthen my body and soul at a floating yoga studio, thatched roof and all, and feed me organic, vegan, and gluten-free food all day and yes, I have officially reached heaven. Yoga and "spa"-like vacations are becoming one of the most popular forms of vacationing around. So why is it that after six weeks of touring a diverse range of yoga retreat centers across Central America, from Costa Rica to Honduras to Belize, I arrived back home feeling appalled at my previously picturesque idea of a retreat instead of ready to promote my next yoga dream vacation? Having lived in Central and South America periodically for nearly seven years as a graduate student researcher in Development Studies, a foreign aid and social justice worker, and a foreign journalist, going back as a “yoga yuppie” raised some major red flags for me. Most yoga retreat centers are the antithesis of the simple yogic way of life. These are luxury retreats. They are exuberant, elite hotels, complete with guards, infinity pools, five-star accommodations, and high-end cuisine. And in many retreats, yoga alone is not enough. Rather, it's yoga + surfing + diving + hiking + horseback riding + fill in the blank. These look more like all-inclusive resorts (that might include a little yoga) than mindful, practice-based yoga centers. We are taking an Eastern concept, transforming it to meet our Western needs, and then practicing and profiting from it on another land. Yoga means union. One would imagine that yoga retreats in other countries would thus include interactions with the people who are from those lands themselves. In my experience, this couldn't be further from the truth. Rather, each of the yoga retreat centers that I visited, in Costa Rica and beyond, were foreign owned. The food provided was on a par with North American prices, and you could truly get anything BUT a corn tortilla (a locally produced gluten-free food staple). This realization dawned on me when I had to order a $7 gluten-free bagel because I could not find a single corn tortilla in all of Nosara, Costa Rica. Yoga retreats are not accessible. They are expensive! The average retreat lasts six to ten days and costs nearly $2,000. (Yikes!) Most yoga retreat centers do not pay yoga teachers to host retreats, thus leaving the burden on teachers to heighten the price of attendance just to break even. Dedicated professionals that we are, we spend months marketing, advertising, and planning our retreats. We coordinate groups of 10 to 20 people from across the world, handing all of their money to the retreat centers in exchange for a free room where we can teach two or three classes before coming home to our average annual salaries of under $50,000 a year. It's also important to mention that yoga retreats are, most of the time, drastically unaffordable for local people in the towns they have propped up. Some studios have even implemented local discounts to increase the allure with no success. Rather than providing a break from non-stop, jam-packed schedules, retreats keep us overloaded with activities. When we swap vacations for yoga retreats fueled by daily power vinyasa classes and touristy excursions, are we just perpetuating our high-stressed obsession with busy? When do we ever get to stop doing if we spend even our vacations going-going-going? The inherent privilege and exclusivity of contemporary yoga retreats are especially prevalent when observed online. Have a friend going on a yoga retreat on a hot beach? Just wait until their Instagram and Facebook feeds are bursting with perfectly angled yoga selfies that will undoubtedly boost their ego (likes likes likes!) and bruise yours (“I can’t afford to go to yoga, I don’t have six-pack abs, and it’s damn cold here in Canada”). What kind of "yoga" are we actually practicing? We show up to our retreats dressed in the finest of yoga clothes, often mass produced in some of these retreat countries themselves by workers who are paid lower-than-acceptable wages and work longer-than-acceptable workdays. (Perchance next retreat we do a side trip to the Lululemon production facility in Cambodia or Bangladesh?) In an era where the amount of money spent on yoga-related products and services is increasing rapidly (spending on yoga products has increased by 87% in the last five years, with over 6 billion dollars spent on yoga products last year), we would do well to sit back and meditate on what on earth we have gotten ourselves into. What kind of “yoga” are we actually practicing? gained from a yoga retreat. For example, yoga retreats have enabled many busy women (especially mothers) I know to take time and space to be alone, to travel, and to heal. I am a firm advocate of traveling. The gift of seeing the world through a different lens is a tool for enabling positive cross-cultural relationships. We live in a globalized world and this yogic expansion is inevitable, but my hope is that we can do it better. Here are some ideas on how we as teachers and students can work to decolonize the yoga retreat. Talk about this dilemma both before and during yoga retreats. Become aware of the implications of yoga vacations abroad and the power dynamic that comes through that. Open the space for collective conversation about how this makes students feel. Host a retreat in a small, locally run hotel or yoga center. Visit it first. Meet the owners and ensure they are treating their staff well. Invite staff members to join your retreat classes for free. From food to hotels to transportation, invest your yoga spending into the local economy instead of into wealthy foreigners' pockets. Get to know the workers. I have been to far too many centers where the staff was treated poorly by retreat owners. Ask them what they think of the retreat—you may be surprised by what you learn. Learn the local language (or at least some of it). Include a language class in your retreat or a volunteer opportunity in the community you visit. Learn about the culture and the economy before you arrive. On the first night of your retreat, host a community orientation where you and locals unite to share histories, stories, and cultural conditions. As a yogi, can you help facilitate the union we preach when we teach? What we do about it is up to you and me. Now don’t get me wrong, a yoga vacation is still a fun dream, but as yogis, it is our responsibility to be self-reflective and aware of how an influx of wealthy and primarily white women slinging lululemon yoga mats into the secret retreats of the developing world is perpetuating an age-old capitalist model that empowers “us” over “them.” What we do about it is up to you and me.